Weâ€™re 15 minutesâ€™ walk from St. Peterâ€™s Cathedral. Located in the heart of Rome (Trastevere) this women-only hostel is set in a 16th-century ex-convent inside the International Women's House (Casa Internazionale delle Donne). We offer beds in dorms or private rooms. All the rooms are very large and quiet and overlook the inner garden or the typical red rooftops. There are no bunk beds. Each room features ceiling fans and include linen and towels. Our tasty expanded continental breakfast features espresso, tea, milk, butter, yoghurt, jam, corn flakes, orange juice and cheese. Itâ€™s served in a comfortable room and is included in the price. The breakfast room also features a microwave, fridge and boiler. Our amenities include free Internet and Wi-Fi in the lobby and garden, free hot showers, 10 toilets, a wash-and-dry service and a book exchange/library. We also have maps and tourist information and can help you with museum reservations. Guests can relax in our large garden under the centuries-old magnolia and taste the menus offered at the Restaurant Luna e lâ€™Altra, or in the bio-snack place Bio&Bio. Ask at reception to avail of our special â‚¬8 dinner menu at Luna e lâ€™Altra, served between 7pm and 8pm. New! With our Association Card included in the rate you will have discounts in some museums such as the Capitoline Museums, Traiano Markets, Ara Pacis, GAM, Macro, Palazzo delle Esposizioni, Scuderie del Quirinale and many more. Orsa Maggiore is located in a quiet and relaxing spot in the very centre of Rome. Our characteristic neighbourhood, Trastevere, is one of the attractions of ancient Rome, full of cinemas, theatres, bars, small restaurants and artisan shops; hence, itâ€™s an ideal spot for a taste of everyday city life. Weâ€™re also just a few minutesâ€™ walk from Piazza Navona, Campo dei Fiori, Synagogue, Gianicolo Hill and the Botanical Gardens. Take the train to Orte or Fara Sabina and get off at Stazione Ostiense. 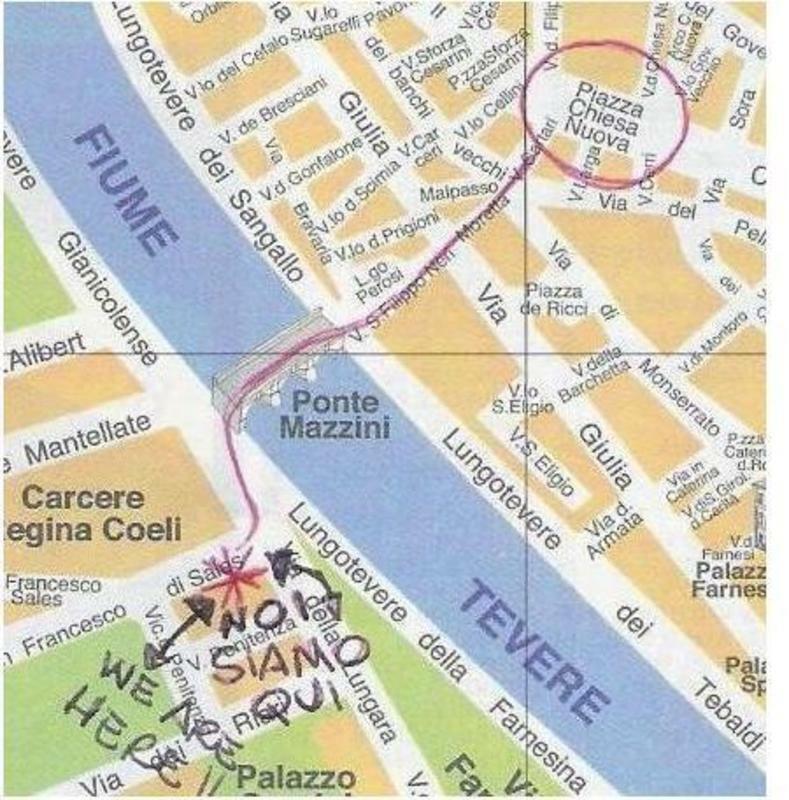 There you take the bus 280 and get off at Lungotevere dei Tebaldi stop (close to Mazzini Bridge). Cross the bridge and at the street youâ€™ll see steps on your left; go in Via della Lungara. Then the first street on your right is Via San Francesco di Sales. Take the bus to Termini station. Take bus 64 and get off at Santo Spirito Hospital (first stop after the bridge). Then take bus 280 or 23 or 271 for two stops and get off at Ponte Mazzini. Go down the steps and the first street on the right is our street, Via San Francesco di Sales. We are at the second floor of Casa Internazionale Delle Donne. Once in the garden youâ€™ll see the sign Foresteria on your left and the elevator.